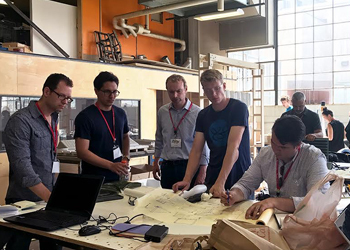 Originally published on ArchitectsDataFile.co.uk - Following two successful events, this year’s ACAWorkshop looks to build upon the knowledge gained from the previous workshops. 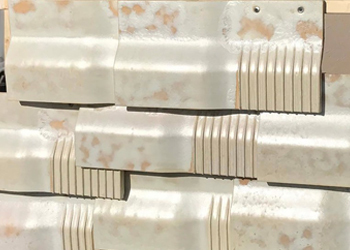 The teams began working earlier this year, developing prototypes that explore the use of terra cotta for bioclimatic systems, and most importantly, consider the materiality and production of terra cotta in the design of the building’s envelope. Originally published on BuffaloRising.com - For the third year in a row, world-renowned architects will be gathering in Buffalo to learn/discover the latest ingenuities related to the design of ceramic components for large-scale production. The Architectural Ceramic Assemblies Workshop (ACAW) will be held Monday, August 13 through Thursday, August 16. 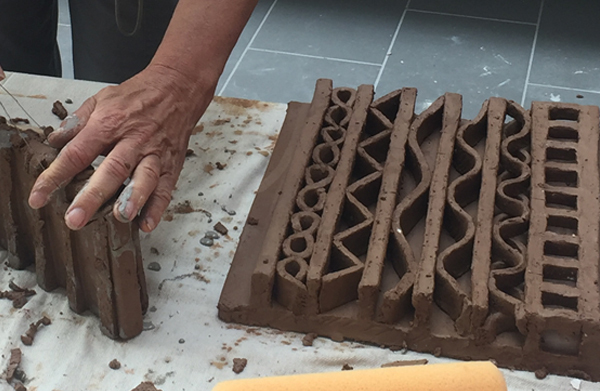 Originally published on Alfred.edu - Alfred University is a sponsor of a four-day workshop next month in Buffalo that will discuss terra cotta and its use in architectural design. 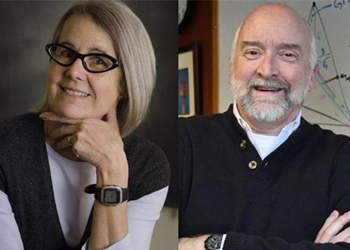 Alfred University’s Anne Currier, sculptor and professor emerita of ceramic art, and William Carty, John F. McMahon Professor and Chair of Ceramic Engineering, are among those who will speak at the Architectural Ceramic Assemblies Workshop, August 13-16, 2018. Originally published on inhabitat.com - Architects have utilized terra cotta for thousands of years – and it turns out the ancient building material could actually combat climate change. 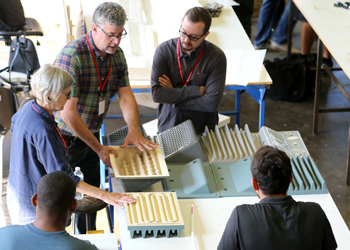 Ceramicists, engineers, and architects converged on Buffalo this year for the Architectural Ceramic Assemblies Workshop (ACAW) to investigate environmentally responsive designs made from terracotta. 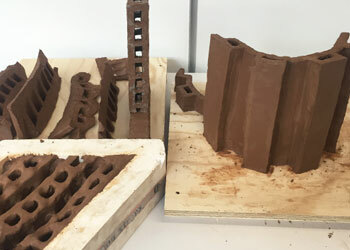 Originally published on FacadeTectonics.org - At the second annual Architectural Ceramic Assemblies Workshop (ACAW), participants in the architectural industry explored the prototyping and assembly of terra cotta systems through manufacturer-supported hands-on research. Originally published on BostonValley.com - Boston Valley Terra Cotta and the University at Buffalo School of Architecture and Planning wrapped up the 2nd annual Architectural Ceramic Assemblies Workshop on August 17, 2017. A collection of interdisciplinary professionals made up 4 teams – Team AECOM, Team Morphosis, Team Walter P Moore and Team UB/Alfred – worked collaboratively with industry experts and educators exploring innovative ceramic façade solutions to a variety of architectural challenges. Originally published on Bustler.net - Architects, engineers and ceramic artists from across the country and Europe are coming to Buffalo, New York to attend the second annual Architectural Ceramic Assemblies Workshop (ACAW) being held Monday, August 14 through Thursday, August 17. 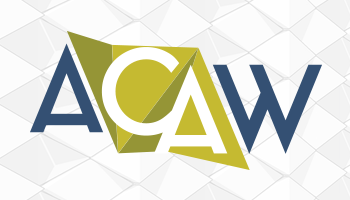 ACAW 2017 Press Release - Industry experts gather to address terra cotta’s potential in advanced manufacturing of bioclimatic structures and environments. 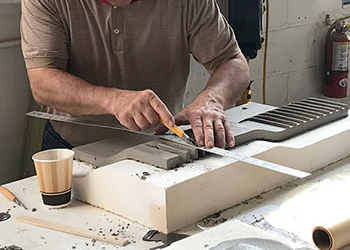 Originally published on BostonValley.com - Architects, engineers and ceramic artists from across the country and Europe will be attending the second annual Architectural Ceramic Assemblies Workshop (ACAW) being held Monday, August 14 through Thursday, August 17. 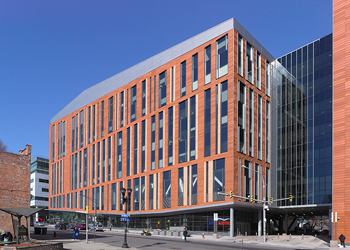 Originally published on ArchPaper.com - Boston Valley Terra Cotta was recently featured in Architect’s Newspaper. The article, “The future of ceramics is being developed in Buffalo, New York” by Matt Shaw, highlights Boston Valley’s transformation from a flower pot business started in 1889 to a leading innovator in the Terra Cotta industry – maintaining a superior level of craftsmanship while simultaneously incorporating digital technology to allow more experimentation with clay-based building systems. 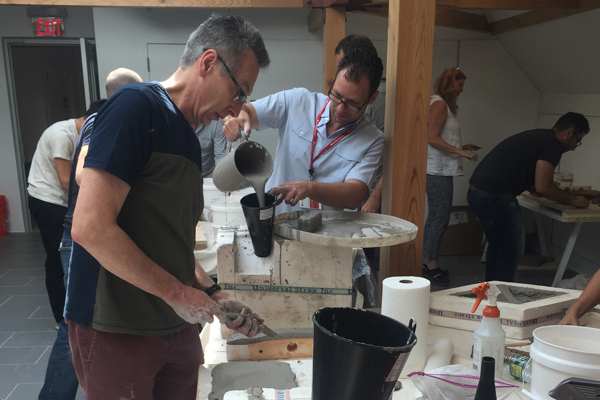 Featured in B/a+p Magazine - The 2016 Architectural Ceramic Assemblies Workshop, hosted by Boston Valley Terra Cotta, brought together our sculptors and designers with faculty and students from the University at Buffalo as well as educators, artists and architects from around the world for five days of group-based learning and ‘clay storming’ sessions. The Workshop focused on the experimentation of large-scale applications for ceramic components. Originally published on elstudio.nl - A workshop program dedicated to the experimentation of large-scale applications for ceramic components, the Architectural Ceramic Assemblies Workshop brings together a collection of interdisciplinary professionals working collaboratively in small groups to explore innovative ceramic façade solutions to architectural challenges. Even if you aren’t attending, stay up to date with what’s happening at the Architectural Ceramic Assemblies Workshop.